We have returned to Lakeshore praising God for the physical safety God granted us. My family escaped harm and our house did not suffer any damage or take on any water. 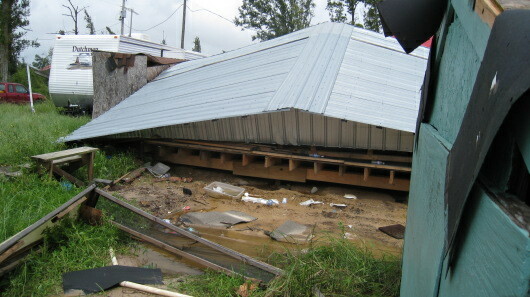 The church property, on the other hand, took a significant hit. 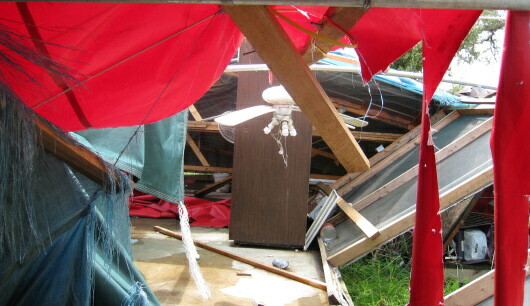 The storm surge did not reach the church building and the office stayed intact, but Gustav totally destroyed our kitchen, took down our white storage tent, damaged some of the Quonset huts and basically made a mess of the camp site. We need your help. We need folks to come down, help clean up, and put things back together. We will not have cooking facilities for a while, so you will need to bring your own food and a way to cook. We do have power, places to sleep, and shower restroom facilities. Contact us, or just come. Oh wow what a mess! I will be praying you will get the needed help to clean this up in the days ahead. Wish I was there I sure would help where ever I could. I miss Lakeshore Church;( One day I will get a chance to come back. Shalom ya’ll. I have sent this site to every one I know so that they can see whats up. I have been sharing withlots of church groups and emergency workers here about Lakeshore and the work ya’ll do. I’m believing with you that God will send an army of people to help out. Praise God your okay. Don’t give up Rabbi. God is doing a great work thru you. We will all be praying for you in Ann Arbor, Michigan Pastor.. The youth group from St. Lukes will be down shortly.. We are keeping you in our prayers and thoughts.. I wish I could be down there helping everyone clean up. I pray that tons of people will come down there to help, I know they will. Hopefully see you all in December. Love you guys. Wish we were closer, we’d be right over! 🙂 I can just see James shaking his head! Don’t worry, James. The Lord will bring many hands to help, I am sure. Love you guys! Praising God for all your safety, Don. I must admit that these pictures tho just make me want to cry. Glad the church building withstood the high winds + rain. Happy to have been part of the team that built the office that stood the storm. Happy to be partnering with LBC on building the Church that will remain standing during the final “storm”. May He continue to be glorified in all you do and bless each who stand along side you. Love and blessings to Ms. Bea, Joelle, and everyone else down there! We at the First Baptist Church of Pelham, Alabama will keep LBC in our prayers. As we have helped with the rebuilding of your families houses and church office building we will be contacting you to plan another trip to Lakeshore. We prase God that everyone is ok.
Keep your head up Pastor Don. This is just a temporary setback. Our God is greater than Gustav! As you preached to us when we were there, God wasn’t surprised by the storm, and He will be glorified through this one, too, as LBC continues to minister and show mercy to the people in your area. Don, I had the privilege of meeting you at the T4G bloggers event earlier this year, and you’ve been in my mind these last few days. Thank God you’re safe, and I’ll be praying for you and your flock! The pictures leave me speechless!LBC holds such a special place in our hearts! We want to get a team out to you in February. We’ll be in touch on that. In the meanwhile you and Lakeshore are in our prayers. I pray that God will give you the strength in the next few weeks for the upcoming tasks you have ahead of you! Green Family,The Boyd Family, and James, and others since before the storm. We are certainly glad that everyone is ok and we are looking forward to our next trip in October if we don’t come sooner. We will continue to pray for everyone, especially the lost, and with the refurbishing of the camp, and are sure the faith will be kept. It is hard to understand the asking of ones to “COME DOWN AND CLEAN UP” seeing what shape the State of Louisiana is in now. Baton Rouge, Houma, Raceland, and too many to list are in dire need NOW, for supplies, help cleaning and rebuilding and they do not have power. 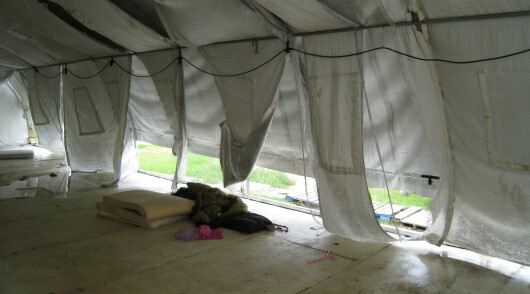 After 3 years, could you possible send a team their way, as they came for you for 2 years following Katrina? This reminds me of New Orleans wanting all the handouts 3 years later. We need some help with all. GOd Bless Us. Thanks for considering helping out. This is not meant to be negative, just needing a few hands. Exactly where are you and what do you need? Do not misinterpret my plea for help as a blind eye to those further west than us. I personally traveled to Louisiana yesterday to deliver food, gasoline, generators, batteries, ice, and other essentials to those who suffered damage from Gustav. I am from Baton Rouge, all my family lives there, and my in-laws are in Morgan City. I am gladly working as hard as I can to send help their way, but I also need to get our facilities back in working order to serve as a home base to help as many people as we possibly can. If you let me know what you need, I will see what I can do. Thank you so much for your words of encouragement, prayers, and support. We are on the way. We will do whatever you need. I’ve been on two trips to Lakeshore, with Heartland Community Church in Overland Park, Ks. Although we are not able to go down to Lakeshore right now, God is not letting us forget the power of prayer. How His love is unshakeable; that this earth is His, and we are His children. While thinking and praying a lot for Lakeshore, and all of the hurricanes hitting right now, He’s really been putting the thought on my heart that although satan is creating these obstacles and hardships, God already knew they would happen. He already knew, and He allowed them to happen. He would only allow such diaster out of His love for us. He uses every test and trial we are facing, no doubt. God’s used these storms to show not only Lakeshore His power, but He’s using it to show his sovreignty to people all over. Now that is love. I will be coming down next Wednesday 09/24 with a team of 8 (5M/3F). This will be our fourth relief trip to the Gulfport area bringing very skilled labor and required tools. I would like to get a dialogue started with someone to plan for the work that needs to be completed. Please contact me using the email address entered at the top of this reply……Looking forwarded to the fellowship! allow me the opportunity to come down again and this time bring a bunch of family to work with. Until God find favor of my request I continue to lift up your work and all those in Waveland. God continue to do HIS work in all of us. We are all one body. Daryl Covington here. Its been a LONG time since you were out at Clear Creek preaching for us. Im in ASIA now. Let me know how we can help your situation from here. What are the needs? Finances? Labor? You name it, we’ll do what we can. The body here is getting stronger, and this would be a great opportunity to show them how to give outside their own country.